Our 11th Annual Family Chanukah Celebration is a great opportunity to bring your kids whether or not you attend cheder. Sunday 9th December, 3:30pm - 6:30pm at JCoB Central. 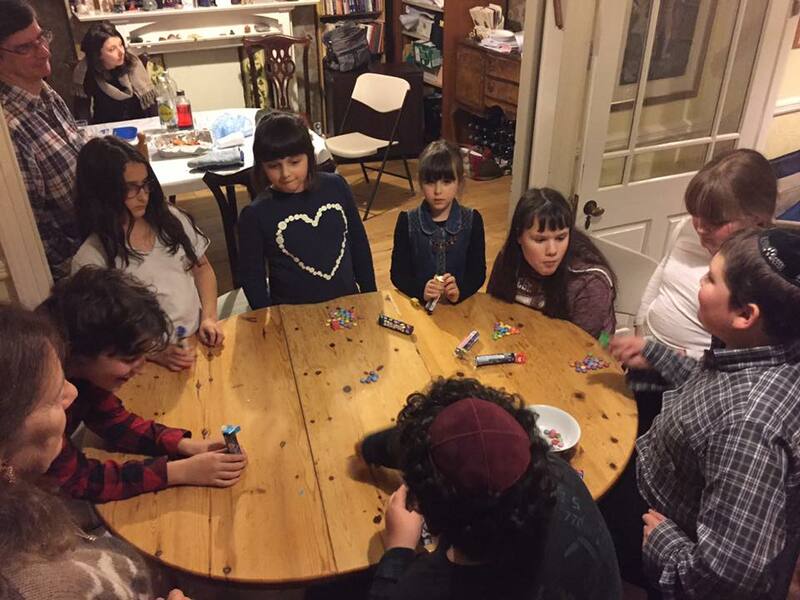 Featuring chanukah crafts followed by candle lighting, latkas, doughnuts, and veggie pizza and hot dogs and the annual dreidel tournament. Of course, Chanukah gelt to take home. We plan to finish by about 6pm, so that the little ones can go home to bed at a normal time. Please let us know if you would like to come so that we can cater appropriately. There is no charge but we welcome your donations to cover our costs so that we can continue to hold events like this one.